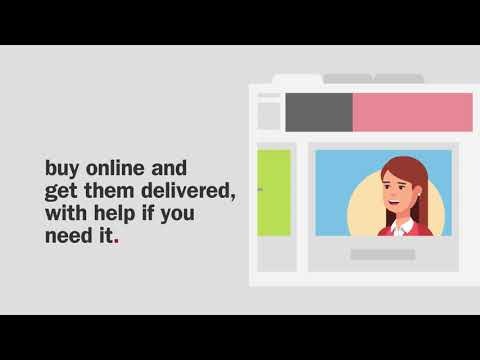 The Ricoh eShop is an online platform designed for organisations of all sizes as an easy, fast way to place orders for Ricoh and third party products. There is a wide range of products available in the eShop, from media supplies and printer consumables to a comprehensive range of IT solutions. Peace of mind that your account is completely secure. Additional users are added by invitation only, so you can control who can access and order supplies on your account. Watch our video for a guided tour of The Ricoh eShop. We are committed to continually improving our offering to customers so if you have any questions or feedback we would love to hear from you. You can get in touch by email: eshop.customerservices@ricoh.co.uk or by phone: 01727 898050. The Ricoh eShop now has 4 dedicated social media platforms. Here you will find regular posts and updates along with guides and tips to help maximise your eShop experience. Ensure to watch out for special offers and promotions, as well as our top recommended products. Please follow the links below to start following The Ricoh eShop online!